The effects of changing land use, and especially urbanisation, on species and functional diversity are of global concern. Eco-estates are a form of urban housing development that is suggested to partially negate the effects of landscape development. We assessed avian functional diversity at four eco-estates (previously sugarcane plantations) and one sugarcane plantation site along the north coast of KwaZulu-Natal (KZN), South Africa. We determined whether the differing development, management types, and the effects of land-cover configuration and composition at the respective study sites influenced avian functional diversity. Fixed-radius point-count surveys were conducted within varying levels of land cover (natural, semi-natural, golf course and urban) at each eco-estate, and at a control sugarcane plantation site (natural, sugarcane-natural, and sugarcane land cover). The influence of differing land-cover covariates on all three components of functional diversity (functional richness, evenness, and divergence) were determined through a series of general linear models. Sections of the respective study sites with increased natural land cover, mainly in the form of indigenous forest and coastal thicket/dense bush, showed improved avian functional diversity in comparison to those with increased building and road density. Negative effects of increased building density may be offset through an interconnection with or incorporation within natural land cover. Each component of functional diversity was influenced dynamically by seasonal changes and depending on land-cover type. 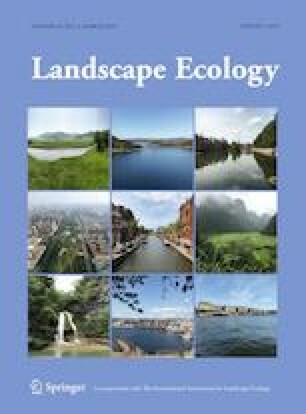 Eco-estates improved avian functional diversity if natural habitats are emphasised and connected. We suggest future development and management for eco-estates and agricultural land in coastal KZN follow ecological land-use complementation, to improve local ecosystem functioning. The online version of this article ( https://doi.org/10.1007/s10980-019-00786-y) contains supplementary material, which is available to authorized users. The authors wish to thank the management of the eco-estates and sugarcane site for granting permission and access onto their sites. This research was made possible through funding from the eThekwini Municipality: Durban Action Research Partnership (D’RAP), the National Research Foundation (ZA), and the University of KwaZulu-Natal.